Targeted fluorescent imaging agents enable specific areas of interest to be detected, monitored and measured in vivo. These agents actively target and bind to specific biomarkers. Benefits include the agents’ highly specific targeting to key biologies. Below is a partial list of our in vivo targeted fluorescent imaging agents. XenoLight RediJect Bacterial Detection Probe is a Near-Infrared fluorescent agent for in vivo targeting of both Gram-positive and Gram-negative bacterial infections. This probe specifically targets the anionic phospholipids of bacterial cell membrane, and so targets Gram-negative bacteria slightly more efficiently than Gram-positive bacteria. RediJect Bacterial Detection Fluorescent Imaging Probe is extremely bright, allowing sensitive detection of deep-tissue infections caused by a range of bacteria, including Staphylococcus aureus, Streptococcus pneumoniae, Pseudomonas aeruginosa, Salmonella typhimurium and Escherichia coli. RediJect 2-DG control dye is a non-reactive dye that can be used as a negative control when using the RediJect 2-DG-750 fluorescent imaging probe. RediJect COX-2 control dye is a non-reactive dye that can be used as a negative control when using the RediJect COX-2 probe. A novel fluorescent imaging probe for pre-clinical research that specifically detects the cyclooxygenase-2 (COX-2) biomarker non-invasively in vivo as well as in ex vivo tissue analysis applications. PerkinElmer’s RediJect COX-2 fluorescent imaging probe provides the ability to non-invasively detect COX-2 in early-stage cancer cells, with a level of sensitivity and accuracy not attainable by conventional methods. The RediJect COX-2 probe is very specific, with good signal to background ratios, in targeting tumors that only over express the COX-2 biomarker. Images shown in figure 1 show specific targeting to HT-29 (COX-2 positive) tumors and not targeting to HCT-116 (COX-2 negative) tumors. The specificity is also confirmed in vitro with Nuance Multispectral imaging system. GFR-Vivo 680 Standard 10 injection kitFluorescent Imaging Agent GFR-Vivo 680近红外荧光探针，成分为近红外荧光染料标记的菊粉，用来评估肾小球过滤率（GFR）。GFR是评估肾功能的金标准，用来判断肾脏疾病的进展和药物引起的肾毒性，可注射10只小鼠。A near infrared (NIR) fluorescent-labeled form of inulin (GFR-Vivo 680) in a spectral region providing low background and high tissue penetration (ex/em = 670/685 nm) for in vivo applications. Glomerular filtration rate (GFR) is the gold standard in kidney function assessment and is used to determine progression of kidney disease and drug-induced kidney toxicity. One of the most accepted ways to assess GFR is by measuring the rate of disappearance of labeled inulin from the blood; as inulin is completely filtered at the kidneys’ glomeruli (but neither secreted nor reabsorbed by the tubules), this rate of disappearance is directly proportional to GFR. XenoLight RediJect Bacterial Detection Probe 750 Std. kit (image 20 animals/kit) 细菌监测试剂盒，于细菌膜表面带负电荷的磷脂质结合而标记细菌（包括革兰式阳性及阴性菌），代谢速度较慢，体内半衰期约为24小时，可注射20只小鼠。 XenoLight RediJect Bacterial Detection Probe is a Near-Infrared fluorescent agent for in vivo targeting of both Gram-positive and Gram-negative bacterial infections. This probe specifically targets the anionic phospholipids of bacterial cell membrane, and so targets Gram-negative bacteria slightly more efficiently than Gram-positive bacteria. RediJect Bacterial Detection Fluorescent Imaging Probe is extremely bright, allowing sensitive detection of deep-tissue infections caused by a range of bacteria, including Staphylococcus aureus, Streptococcus pneumoniae, Pseudomonas aeruginosa, Salmonella typhimurium and Escherichia coli. XenoLight RediJect 2-DG 750 Probe Standard kitFluorescent Imaging Agent 近红外染料标记的脱氧葡萄糖醛酮，观测肿瘤组织更加旺盛的葡萄糖代谢，可注射20只小鼠。 For in vivo targeting of tumors that typically exhibit elevated glucose uptake rate in comparison to surrounding tissues. To achieve maximum glucose targeting and enhanced tumor uptake, the probe has been designed to contain four 2-DG molecules per dye molecule. RediJect COX-2近红外荧光探针，检测环氧化物酶2，可注射20只小鼠。 XenoLight RediJect COX-2 is a a novel fluorescent imaging probe for pre-clinical research that specifically detects the cyclooxygenase-2 (COX-2) biomarker noninvasively in vivo as well as in ex vivo tissue analysis applications. PerkinElmer’s RediJect COX-2 fluorescet imaging probe provides the ability to non-invasively detect COX-2 in early-stage cancer cells, with a level of sensitivity and accuracy not attainable by conventional methods. OsteoSense 680EX近红外荧光探针，羟磷灰石成分，通过检测骨骼中暴露的羟磷灰石含量而研究骨骼生长及重建。，可注射10只小鼠。 A fluorescent in vivo bisphosphonate imaging agent. OsteoSense 680 EX images areas of micro-calcifications and bone remodeling and enables imaging of bone growth and resorption. OsteoSense 680 EX fluorescent imaging agent can be used to measure the effects of therapeutic stimulation of bone growth. This agent can also be used to characterize bone remodeling associated with animal models of arthritis. OsteoSense 680 EX enables in vivo detection, measurement and monitoring of skeletal changes in a wide range of disease states, including arthritis, osteoporosis, and cancer metastasis. OsteoSense 800近红外荧光探针，羟磷灰石成分，通过检测骨骼中暴露的羟磷灰石含量而研究骨骼生长及重建。，可注射10只小鼠。A targeted fluorescent in vivo bisphosphonate imaging agent. OsteoSense 800 images areas of microcalcifications and bone remodeling and enables imaging of bone growth and resorption. OsteoSense 800 fluorescent imaging agent at a wavelenth at 800 nm, can be used to measure the effects of therapeutic stimulation of bone growth. This agent can also be used to characterize bone remodeling associated with animal models of arthritis. OsteoSense 800 enables in vivo detection, measurement and monitoring of skeletal changes in a wide range of disease states, including arthritis, osteoporosis, and cancer metastasis. HypoxiSense 680近红外荧光探针，检测肿瘤细胞表面的碳酸酐酶9（CAIX），可注射10只小鼠。HypoxiSense™ 680 fluorescent imaging agent detects the tumor cell surface expression of carbonic anhydrase 9 (CA IX) protein, which increases in hypoxic regions within many tumors, especially in cervical, colorectal, non-small cell lung tumors. Pairing HypoxiSense with optical fluorescent imaging technology allows you to image and quantitate tumor sub-regions undergoing hypoxia-related changes, non-invasively and in vivo. FOLATERSENSE 680 Fluorescent Imaging Agent FOLATERSENSE 680近红外荧光探针，检测肿瘤细胞表面的叶酸受体蛋白，可注射10只小鼠。FolateRSense™ targeted fluorescence imaging agent is highly specific and sensitive in its detection of Folate Receptor alpha (FRA) and can be used to closely monitor and quantitate tumor growth and metabolism. Over-expression of FRA protein is associated with tumor growth, and uptake of folic acid is a necessary part of tumor metabolism. BOMBESINRSENSE 680Fluorescent Imaging Agent BombesinRSense 680近红外荧光探针，检测肿瘤细胞表面的蛙皮素受体，可注射10只小鼠。Specific for bombesin receptors (BBRs) expressed in many types of cancer. Bombesin-like peptides and their G-protein coupled receptors have been shown to play a role in cancer and are overexpressed in a variety of tumors, including prostate, breast, lung, CNS, gastric, colon, and renal cell carcinomas. BombesinRSense 680 comprises a 7-amino acid bombesin peptide analog, an NIR fluorophore (ex/em 665/691 nm) and a pharmacokinetic modifier to improve its plasma availability (plasma t1/2 = 30-45 min). This agent can be used to target and quantify upregulation of bombesin receptors (BBR) in vivo associated with tumor proliferation. TLectinSense 680近红外荧光探针，检测血管内皮细胞表面的糖蛋白，进行血管新生及血管分布观测，可注射10只小鼠。A fluorescent in vivo endothelial cell imaging agent. TLectinSense 680 fluorescent agent is a near-infrared labeled macromolecule that targets the vasculature and enables imaging of blood vessels and angiogenesis. This agent in conjunction with PerkinElmer’s imaging instruments helps in assessing vascularity in vivo and in real time, without termination of mice, excision and processing of the tissue, thus improving the efficacy, early detection and monitoring of anti-angiogenic therapies. IntegriSense 680 Fluorescent Imaging Agent IntegriSense 680近红外荧光探针，检测膜整联蛋白αvβ3，组织半衰期较长，可注射10只小鼠。 For in vivo detection of avb3 using a low molecular weight peptidomimetic antagonist coupled to a red fluorochrome. IntegriSense 680, an integrin-targeted molecular imaging agent allows the non-invasive imaging of disease status and progression. Pairing of an integrin antagonist treatment with IntegriSense 680 provides a mechanistic biomarker approach for assessing target coverage. Integrins are transmembrane cell surface receptors which mediate signal transduction, cell-to-cell interaction and cell-to extracellular matrix adhesion, key processes involved in angiogenesis, tumorigenesis and metastasis. Integrins have thus been hailed as clinically-relevant biomarkers of pathological conditions such as inflammation and tumor progression. The integrin avb3 is significantly upregulated in tumor cells and activated endothelial cells during neoangiogenesis. 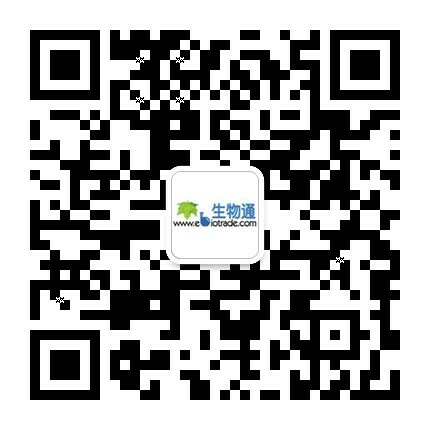 IntegriSense 750 Fluorescent Imaging Agent IntegriSense 750近红外荧光探针，检测膜整联蛋白αvβ3，组织半衰期较长，可注射10只小鼠。 A targeted fluorescent imaging agent comprising a potent, selective non-peptide small molecule integrin avb3 antagonist and a near- infrared (NIR) fluorochrome. IntegriSense 750 has a shorter half life in tissue than IntegriSense 680. IntegriSense 750 washes out of tissues in ~ 96 hours to permit more frequent reinjection of the agent in longitudinal studies. This agent has been developed to enable in vivo visualization and quantification of integrin avb3 in tumor cells as well as in neovasculature, to monitor tumor growth, tumor angiogenesis, and treatment efficacy. Absorbance and fluorescence emission spectra of IntegriSense 750 in 1x PBS. Cat K 680FAST近红外荧光探针，检测组织蛋白酶K的活性，可注射10只小鼠（20-26g小鼠）。A Cathepsin K (Cat K) activatable fluorescent agent that is optically silent upon injection and produces fluorescent signal after cleavage by disease related Cathepsin K. Cat K is highly expressed in osteoclasts, suggesting a specialized role in bone resorption. Cat K is found extracellularly along the bone and cartilage and intracellularly in lysozomes of osteoclasts attached to the bone. In addition to expression by osteoclasts, Cat K is also expressed by a broad range of other cell types including ovarian cells, colonic tissue, alveolar and bronchial epithelial cells, synovial fibroblasts, breast cancer cells, macrophages. IntegriSense 645近红外荧光探针，检测膜整联蛋白αvβ3，组织半衰期较短（2天），可注射10只小鼠。For in vivo detection of avb3 using a low molecular weight peptidomimetic antagonist coupled to a red fluorochrome. IntegriSense 645, an integrin-targeted molecular imaging agent allows the non-invasive imaging of disease status and progression. Pairing of an integrin antagonist treatment with IntegriSense 645 provides a mechanistic biomarker approach for assessing target coverage. Integrins are transmembrane cell surface receptors which mediate signal transduction, cell-to-cell interaction and cell-to extracellular matrix adhesion, key processes involved in angiogenesis, tumorigenesis and metastasis. Integrins have thus been hailed as clinically-relevant biomarkers of pathological conditions such as inflammation and tumor progression. The integrin avb3 is significantly upregulated in tumor cells and activated endothelial cells during neoangiogenesis. Annexin Vivo 750 Fluorescent Imaging Agent Annexin Vivo 750近红外荧光探针，用来检测细胞早期凋亡中外翻于细胞膜表面的磷酯酰丝氨酸，可注射10只小鼠。 A targeted fluorescent imaging agent comprising a selective protein, Annexin A5 and a near-infrared (NIR) fluorochrome. This agent has been developed to enable in vivo visualization and quantification of the membrane-bound phospholipid, phosphotidylserine, exposed in the outer leaflet of the cell membrane lipid bilayer during the early stages of apoptosis. Annexin-Vivo 750 fluorescent imaging agent selectively binds phosphatidylserine exposed in the outer leaflet of the cell membrane during the early stages of apoptosis. Each vial contains 10 mouse doses of Annexin-Vivo 750 in solution. Annexin-Vivo 750 is supplied in 1000 µL of 25 mM Hepes/NaOH, 140 mM NaCl, pH 7.4. The packaged material provides sufficient reagent for imaging approximately 10 mice (weighing ~25 grams each) when using the recommended dose of 100 µL of Annexin-Vivo 750 per mouse. BacteriSense 645 Fluorescent Imaging Agent BacteriSense 645近红外荧光探针，与细菌膜表面带负电荷的磷脂质结合而标记细菌（包含革兰式阳性及阴性菌），代谢速度快（体内半衰期小于1小时），可注射10只小鼠。BacteriSense™ 645 Targeted Fluorescent Pre-clinical Imaging Agent is a fast-clearing, targeted probe which binds to negatively charged lipids on the bacterial cell membrane, enabling the monitoring of infection progression in vivo non-invasively and in real time. Because the half-life of BacteriSense in vivo is as short as 45 minutes, image data can be acquired every day to track bacterial load during infection. 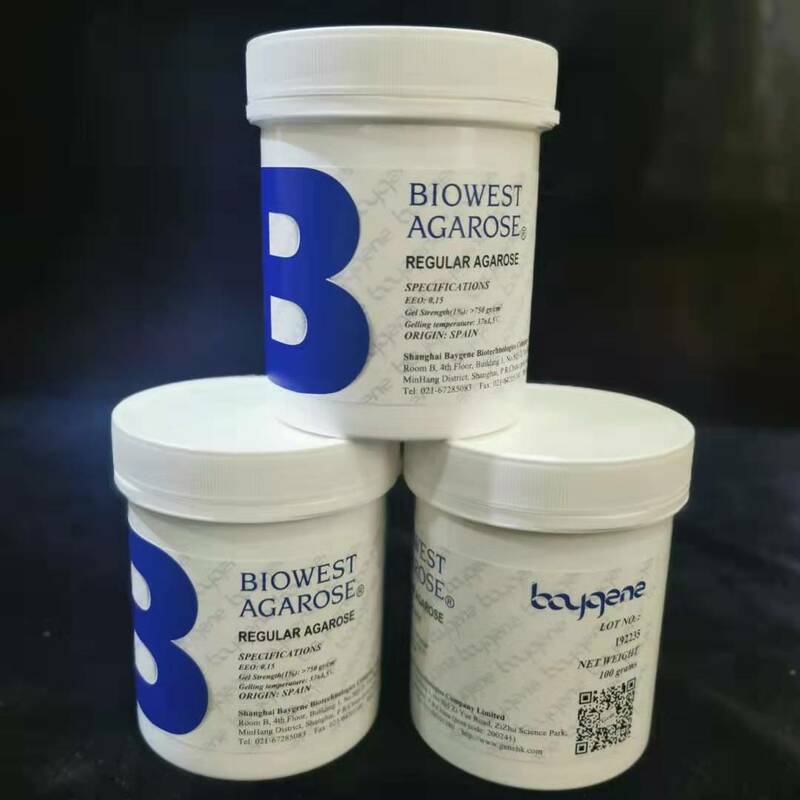 This agent effectively targets infection caused by both gram-negative and gram-positive bacteria.